Subir Roy: Why merge public sector banks? 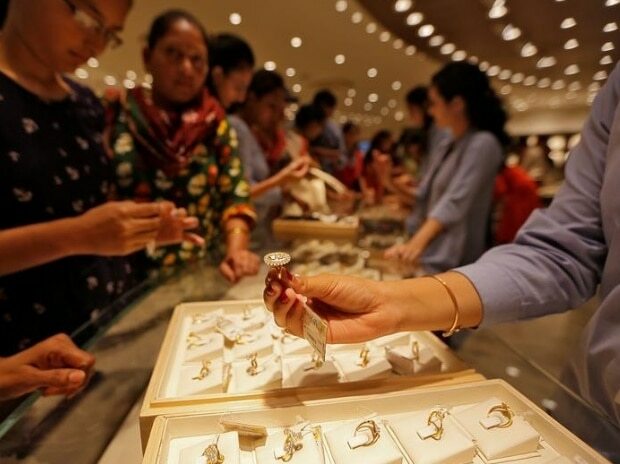 Turning cautious from many loans going bad, banks are seeking more transparency and better corporate governance in the jewellery industry. Karnam Sekar, deputy managing director and chief credit officer, State Bank of India, said as these businesses grew in size, partnership firms needed to morph into a corporate structure with improved governance practices. Most of jewellery units worked in a family atmosphere and there was need for professional management, he said. Bankers said payments discipline among jewellery units was high about 10 years ago but many units defaulted after the global financial crisis. Some failed to pay due to a slump in business but many promoters defaulted despite having the ability to pay. Winsome Diamonds and Jewellery, with a default of over Rs 2,000 crore, figures among the top loan defaulters to public sector banks and financial institutions. PS Jaykumar, managing director and chief executive officer of Bank of Baroda, said bigger jewellery units must take responsibility for enhanced levels of governance. The level of non-performing loans in this industry was higher than the average level of NPAs, he added. Varda Shine, CEO mentor and business adviser, said banks throughout the world had concerns with the diamond industry over transparency, lack of collateral, and the perception of no growth in the industry. 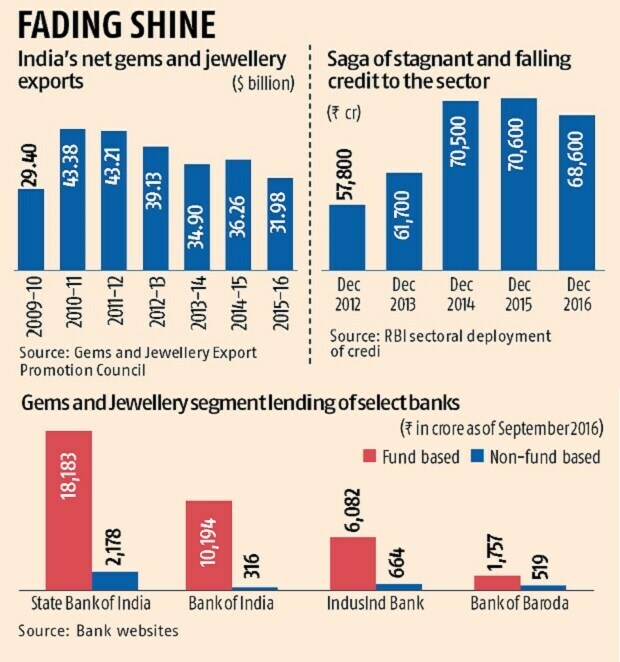 Reflecting the slowdown in jewellery exports, credit to the industry remained stagnant in 2015 and outstanding loans declined next year to Rs 68,600 crore, according to Reserve Bank of India data. After a record $43.38 billion in 2010-11, India’s jewellery exports fell steadily to $31.98 billion in 2015-16 in the aftermath of the global economic crisis.